Customer Notice: From 6th May 2018 our Chester store will no longer be open on Sunday’s until further notice. Boughton House Chester is Simon Boyds newest flagship store. A stunning 3 storey Georgian property perfectly showcasing our extensive stock ranges and sumptuous furnishing displays. The first floor showroom houses two exquisite room set displays, one traditional, and one contemporary, both highlighting the talents of our design team. 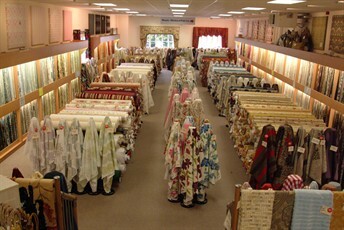 Also on this floor is our carpet showroom, offering the leading brands at the most competitive prices. Traditional and contemporary designs, luxury deep pile velvets, countryhouse natural floorings and bespoke designer ranges all available. 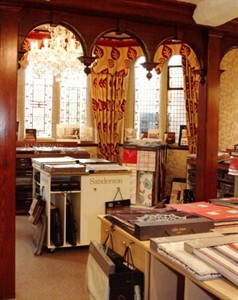 On the stores main floors we have outstanding wallpaper and fabric galleries – having just increased the fabrics by a further 3000 options. In addition to this we stock over 50,000 metres of curtain & upholstery fabric offering our customers one of the largest fabric ranges in the UK. We also offer hundreds of designs of readymade curtains with up to 50% off RRP and tracks & poles with up to 30% off RRP.